This past week I was on vacation and the child was on a cruise with her grandparents. 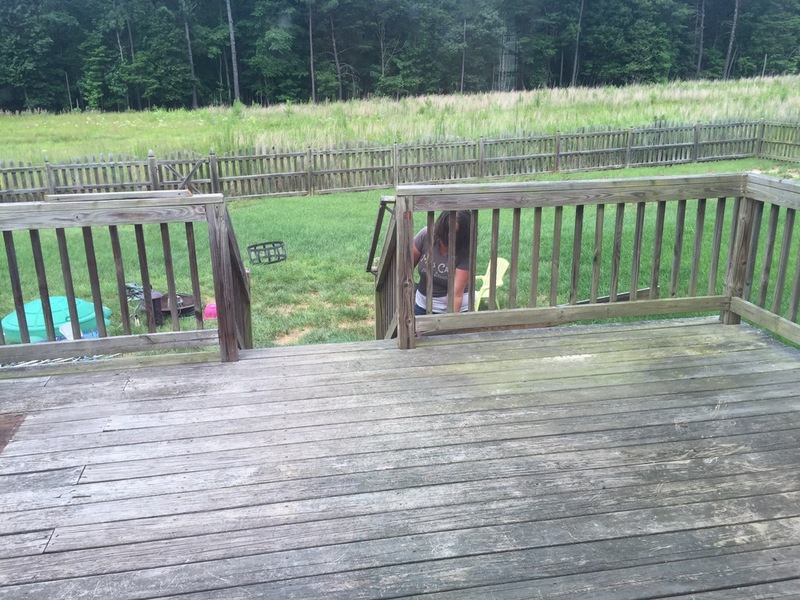 Erin and I took the opportunity to repair our nine-year-old, not-at-all-properly-cared-for deck. I "think" we sealed it once, maybe seven years ago but I can't remember. Anyway, it was in pretty bad shape. Boards splitting, turning gray, etc. We decided it was time to strip it to the bare structure and replace everything else. 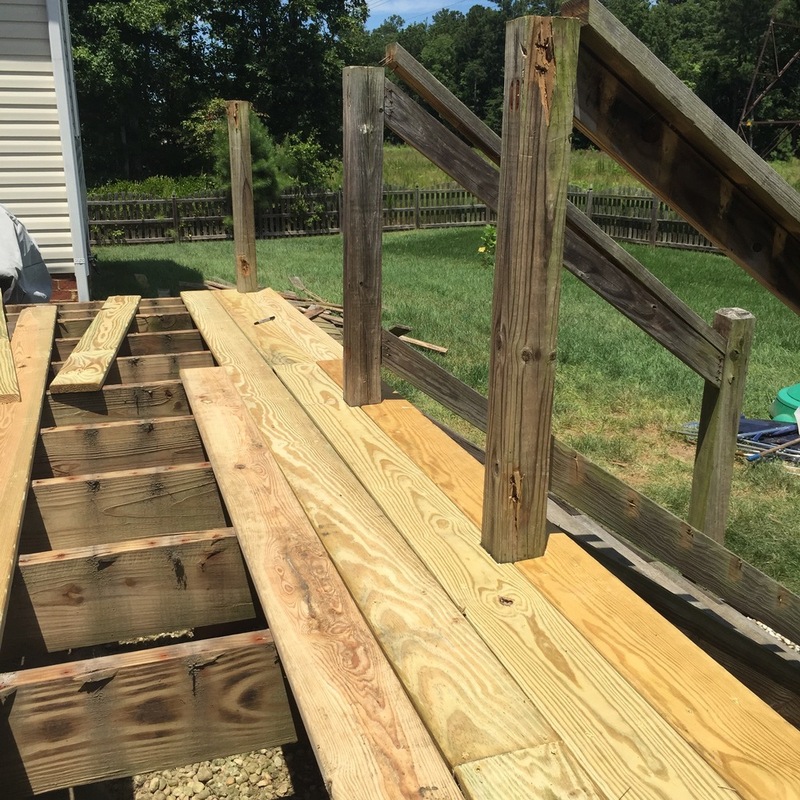 Over the course of five days we replaced all of the decking and the steps, all of the railings and pickets, and a few other pieces here and there. Basically, if it wasn't a structural component we replaced it. Addendum: Erin was a total badass tearing apart the deck. Seriously.